Junior and Cadet European Fencing Championships will be held in the halls of the Plovdiv International Fair /Pavilion 8/. The Fairground is one of the largest exhibition venues in Southeast Europe. The exhibition complex consists of 17 multifunctional pavilions best equipped for the arrangement and display of all kinds of exhibits, sports events etc. 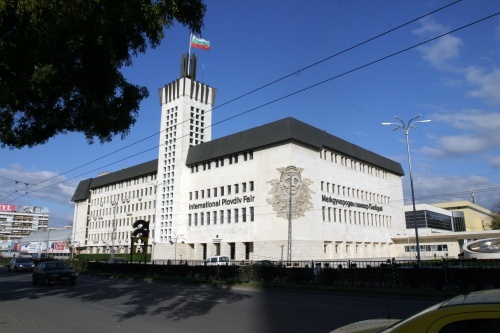 You can find basic information about the visa regime between the Republic of Bulgaria and all other countries at the website of Ministry of Foreign Affairs - http://www.mfa.bg/en/pages/109/index.html. For those participants, who need a visa, please send us a photocopy of the first page of the foreign travel document at our contact e-mails. All the following suggested hotels are located in the vicinity of the Plovdiv International Fair. When booking through the official site of the Championships you will benefit of a dedicated support staff, shuttle from/ to the sports venue, transfers from/ to Sofia Airport, visa and customs assistance. All participants in an official competition of the FIE who are under the age of majority in the country in which such competition is being held must either: 1) be accompanied by a person who is a parent or guardian of the participant or who has been delegated, on a form valid in the country of the competition, from a parent or guardian of such participant to act on behalf of the participant regarding health-related issues; or 2) have such power of attorney issued to a person who has achieved his/her majority and who will be at the competition site during the competition and has agreed to accept the responsibility delineated in such power. You can find a proxy form on the site of the competition, and the same must be filled in and notary legalized. Bulgarian is the official language. But almost everyone speaks English, and some people - German and Russian. The voltage in Bulgaria is 220-230 V, 50 Hz, like in the rest of Europe. The Bulgarian Lev is the basic Bulgarian currency unit. Foreign currencies can be exchanged in banks, exchange offices, etc. Banks and exchange offices are open 8:30 – 16:30 Monday through Friday. Most banks have ATMs, which operate 24 hours a day (including Sundays and holidays) and you can find ATMs at convenient locations across town. All major credit cards, such as American Express, Diners Club, Eurocard/ Master Card, Visa, JCB and Eurocheques, are usually accepted in Bulgaria and their logos displayed in points of sale. The legal drinking age in Bulgaria is 18 years. To call Plovdiv from abroad, dial the international code for Bulgaria 359, the Plovdiv area code 32 and then the desired telephone number. GSM mobile networks are available. Please check compatibility with your operator. No vaccination or other medical certificates are required to enter Bulgaria. Health insurance is not mandatory. Most pharmacies are open 7 – 20 but there are many more which are working 24/7. In case of illness or injury dial 112 free of charge to call an ambulance. Dial 112 free of charge. The Republic of Bulgaria is situated on the Balkan Peninsula. It borders with Greece, Turkey, Serbia, Romania, FYROM and the Black Sea to the east. Transportation between the Hotels and the Venues will not be necessary if you book accommodation in official hotels through the Official Site of the Competition. Otherwise, it is to be organized and paid by oneself. The shuttle schedule will be available shortly before the beginning of the Championships. The reception desk of each hotel can call a taxi for you. For further information and assistance, please do not hesitate to contact the Bulgarian Fencing Federation and the Organizing Committee.